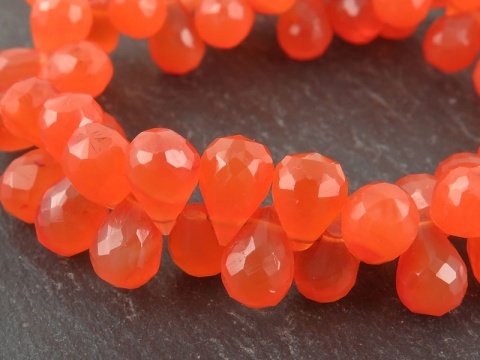 Carnelian is a polycrystalline quartz and a translucent variety of chalcedony. Its bright orange/reddish colour is caused by iron oxide. 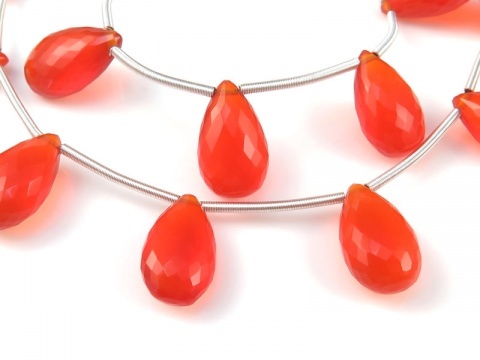 Commonly heat treated to enhance its colour. Hardness: 6 (Mohs).